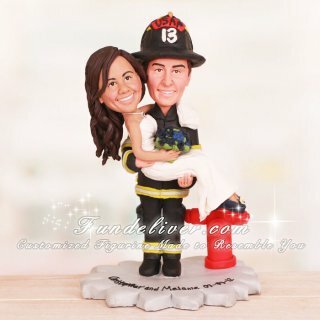 This is a completely customized US Air Force FD Firefighter wedding cake topper ordered by one of our customers. 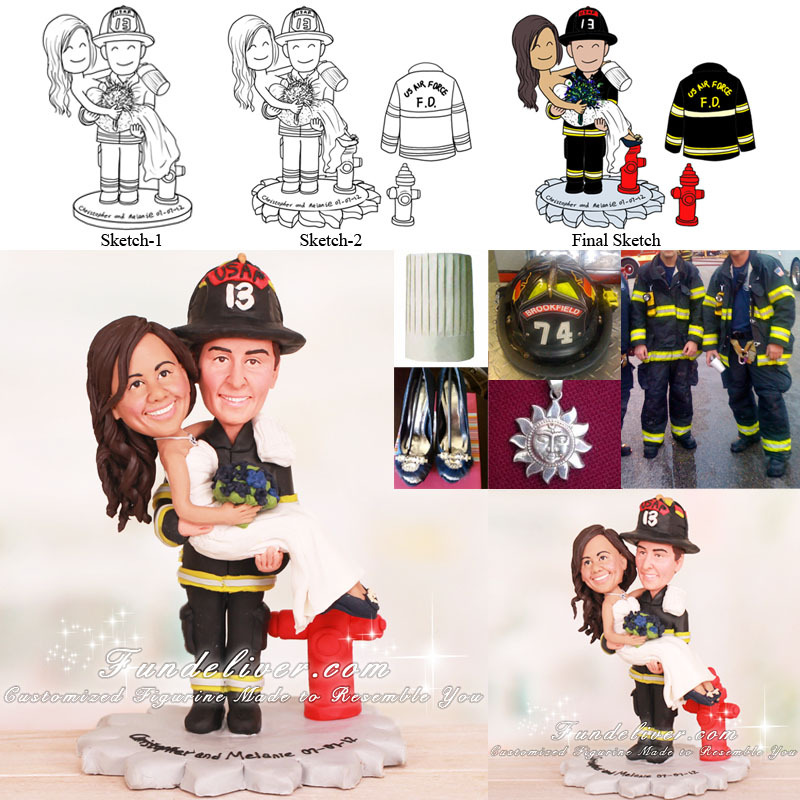 They would like a similar design to this Nurse and Firefighter Wedding Cake Topper, but make some adjustments to match their outfits and wedding. They would like the same pose, groom holding the bride, who is in her dress, but remove the coconut tree and nurse hat and replace nurse hat with chef hat. The groom is wearing his black firefighter uniform with “US Air Force FD” on his firefighter jacket and #13 and USAF on his firefighter hat. They would like their figurine to be standing on a silver sun shape base with a red fire hydrant behind and "Christopher and Melanie 07-07-12" on.